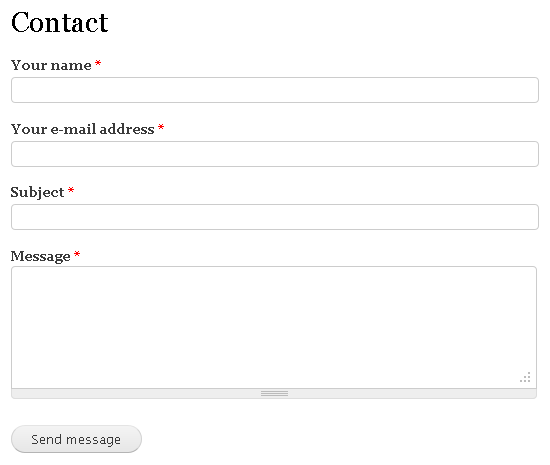 Most websites have a contact page to allow visitors to send a message to the site owner. Drupal offers a built-in Contact module, which generates a form containing the traditional fields: name, email address, subject, and message. But you cannot easily add or remove any fields (without writing custom code). For that, use the Webform module, which does require you to define all of the fields, but is far more flexible, and stores in the database all of the values submitted, with the option of emailing them to you.